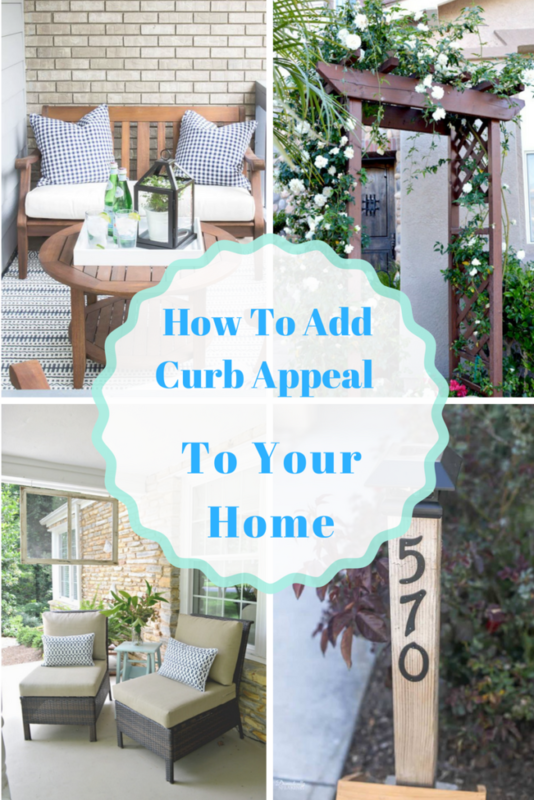 Your homes curb appeal can make a great first impression, I have some fun and easy ideas to upgrade the front of your home on a small budget. There are so many simple improvements that you can do in a day or over a weekend to get the most bang for your buck. A few years back my wonderful (and very handy) husband made this beautiful arbor for the front of our home. I envisioned an area where we would have climbing roses and he went to work one afternoon and made it happen. We had looked at Arbors online and at the big box stores but they were pricey, the ones on Craigslist would get snatched up very quickly so he decided to make his own and it turned out fabulous. You can find the step by step directions here. This is a low-cost DIY curb appeal project that will instantly add beautiful curb appeal. 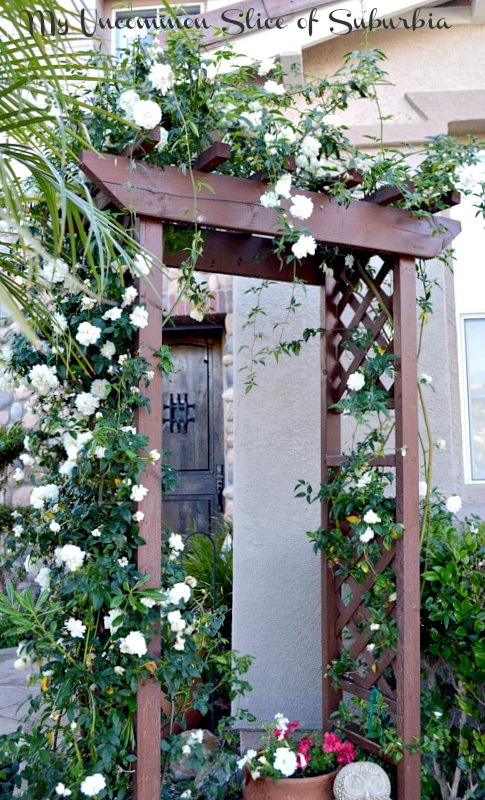 If you have some scrap wood laying around or even some old doors or shutters you can easily make an arbor. 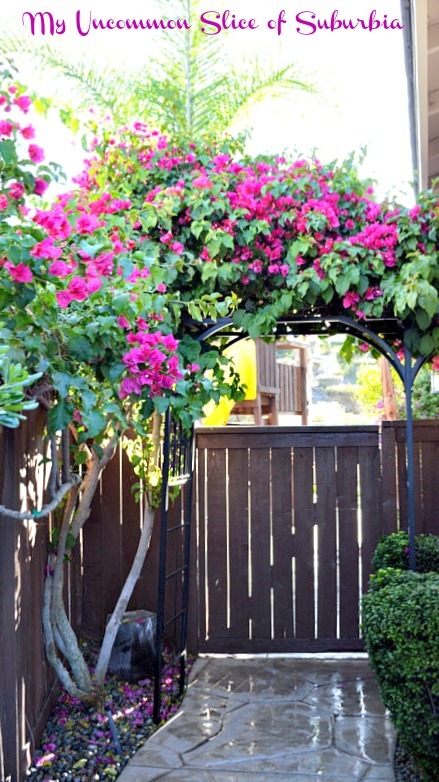 We also have an arbor that leads into our back yard, the Bougainvillea is beautiful right now! 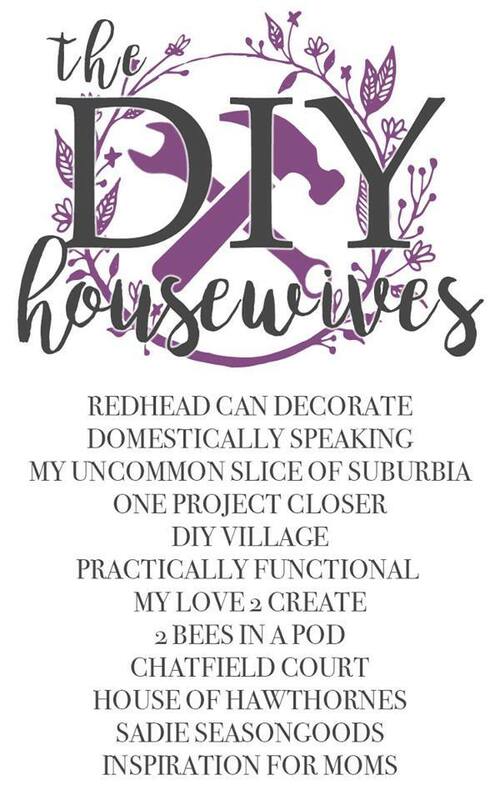 I’m back again this month with the DIY Housewives and we are talking about adding curb appeal to the front of your house, perfect timing for Summer! You’d be surprised at what a difference inexpensive changes can make to add appeal to the front of your home. I have a great list of creative ideas that just about anyone can do! Check out all of the other wonderful ideas from my DIY friends to instantly freshen up your front entryway! Thank you so much for stopping in today, have a fabulous rest of the week! All great ideas. That arbor is gorgeous!